LUNA is an interpretation of mythology’s ancient moon goddess. 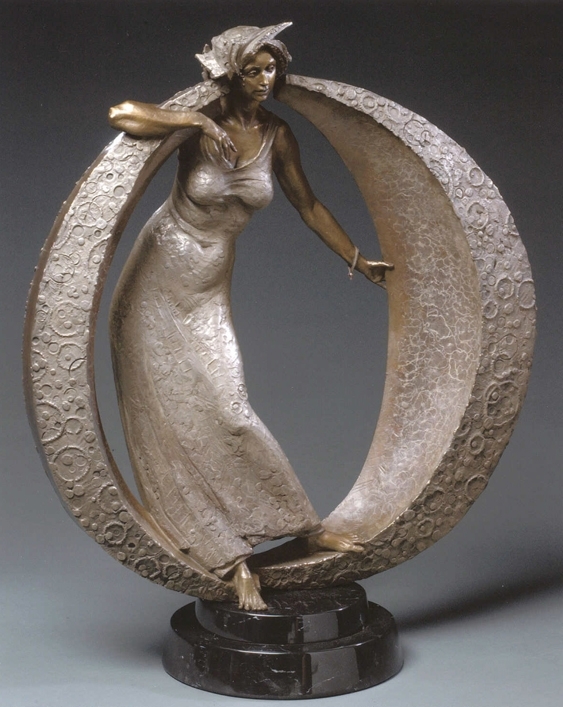 Ruler of the night and world of dreams, she celebrates the physical roundness and grace of the feminine. Linked with the mystery of intuition, she governs the depths of emotion and connection to the subconscious. In her powers reside the phases of the lunar cycle, ordering the rhythms of tides; fertility; birth; and growth. LUNA also reflects the journey of every woman; her poise the balance of a life. As she supports her burden of crescent moons, they frame her with the harsh and beautiful crystals of natural order. Her embrace unites this circle … a sheltering portal of response and resolve.